Diameter Range: 50 mm to 300 MM, 2 inches to 12 inches. We take pleasure to introduce ourselves as one of the renowned firms for providing the best-in-class range of side & Face Milling Cutter. This type of cutter has long life. Also it does not required high maintenance. It is a multi-purpose side and face cutter with high precision capability for numerous operations. The cutter is the most productive of its kind for producing grooves and for cutting off. 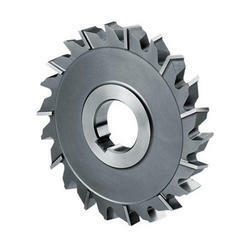 Wide grooves can be produced by several Coro Mill cutters mounted together in a gang. Indexable carbide changeble insert type face mill cutter metcut brand available in various shape and sizes fir various inserts . Price Range Starts at Just Rs. 1000/- to 5000/- per Piece. And Price may vary depends on size, quantity, quality or as per client requirement. We offer one of the finest quality Face Milling cutters at competitive price. 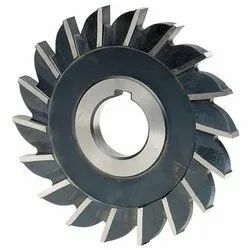 We are the Manufacturer of all type of HSS cutter hence we offer the best varieties of HSS Side & Face Milling Cutter for our desired clients.